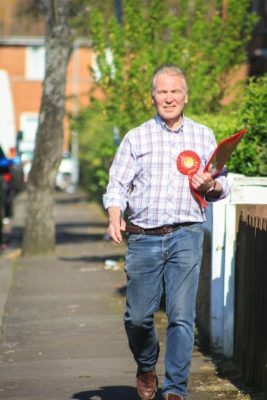 It can be very frustrating for candidates out on the doorsteps at the moment, especially when you get told ‘you’re all the same’, ‘you all lie’, ‘you all break your promises’. Well, this simply isn’t true here in Bridgwater. 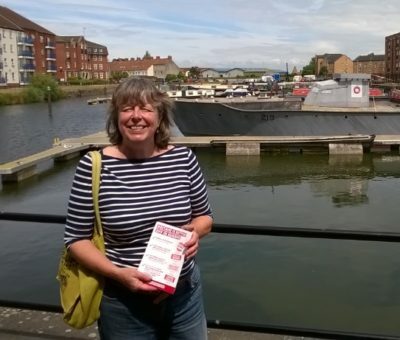 In 2015 Bridgwater Labour Party put out our ‘Manifesto for Bridgwater’ and delivered it to every home in the town. It contained 18 pledges and we’re pleased to say we delivered on all of them. So, if you’re angry at what’s happening nationally, please read what we said we would do here in Bridgwater and what we did do. We said there would be full consultation with local people for recreational and leisure development on Northgate whilst preserving the green space. By working with sedgemoor and holding them to account every step of the way we are about the see the fruits of this. The leisure complex based around the popular Scott cinemas, which people wanted to be at the heart of the development, is about to be built. Bridgwater Town Council created a ‘Town Development Forum’ which people came to and were able to challenge or support the proposals as they came up. All the recommendations from this public body were implemented. The Brewery field, the green space at the centre of this project, has been preserved as promised and we fought off Sedgemoor Tories plans to build a giant Tesco here after they’d closed and swiftly demolished the popular Sedgemoor Splash. We said that as the population of Bridgwater grew we would need extra amenities but would also need to support existing centres of culture such as the Arts Centre. When Sedgemoor withdrew its support for the Arts Centre and other public buildings some years back, Bridgwater Town Council stepped in to become the principal funder. This year the art centre faced closure due to escalating repair costs. Bridgwater Town Council again stepped in to save this historic building, the first in the country, for the people of the town. We said we would maintain core funding for Bridgwater’s community centres. Bridgwater Town Council has indeed maintained funding for the main community bases on each of the 3 major estates in the town with 20k each year going to Sydenham Community Centre, Victoria Community Centre and the Hamp Community Association. We said we would promote a system of ward grants to support community initiatives across the town. We have maintained grant aid to projects determined on a ward by ward basis and this money has kept play schemes, sports clubs, luncheon clubs and public halls going while providing seed funding for new initiatives and core funding for long term projects equally across every ward in the town. We said we would retain and develop youth provision in the town. This has been a major initiative by our young Mayor Diogo Rodrigues, and we not only honoured this commitment but we exceeded our targets and set up an entirely new youth fund which we boosted by establishing a delegate based youth council who we then based the decision making on these grants directly to. We said we would continue to campaign with young people to provide new facilities. The youth council is testament to this, along with other youth initiatives like the Mayors ‘Youth awards’ and the extra money we put in to save the Rollercoaster youth centre. It was Labour town and district councillors working with young people and Sedgemoor that finally achieved skate park facilities in the town after years of promise and failure. We said we would oppose developments detrimental to the town such as edge of town supermarkets and oppose planning decisions that would degenerate our town centre. The towns planning panel has consistently worked to achieve this aim. 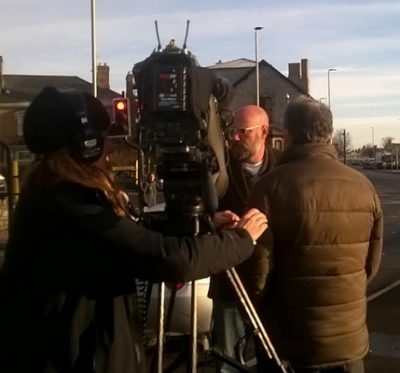 We campaigned against the Tesco development, we have campaigned against the proliferation of Houses in Multiple occupation which have brought traffic chaos to residential areas and we campaigned to retain a post office in the centre of the town. We said we would encourage projects that would clean up streetscapes, fight rigid planning rules and work with traders to complement and develop their businesses. Bridgwater Town Council has put substantial funding into matched funding for projects that would do just this. We have part funded the new Fore street enhancements and campaigned for compensatory payments for businesses affected by EDFs increased lorry runs and often unnecessary road ‘improvements’. We said we would secure the benefits of Community Impact Mitigation funding for the people of Bridgwater. Through the hard work of our EDF monitoring spokesman Cllr Leigh Redman we have kept our eye on the ball through EDF’s tearing up of our town and where we have been able to gain benefit from this by bidding for EDF funding, we have used our Civic Enhancement account to match-fund in order to ensure projects were realised. Cycle paths, improved walkways, streetscapes and community centres have all benefited from this. We are currently arguing the case for the Blake Gardens and Library upgrade. We said we would fight Bridgwater’s corner when Mitigation payments were on the table and we have done that at every opportunity. We said we would promote high skilled, well paid employment for Bridgwater people. We have worked in partnership with Sedgemoor, the Town Team and the College to encourage living wage projects, we have successfully steered motions to this effect through district and we have worked with partners to develop a Local Labour Force Agreement in the area. We said we would end zero-hour contracts, fight for a living wage and support increased training opportunities and apprenticeships for local people. 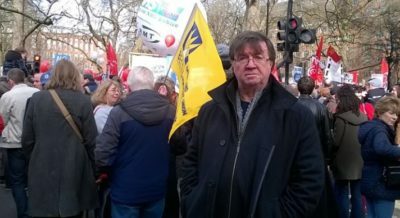 Our work and business spokesman Cllr Mick Lerry has been at the forefront of this campaign as leader of the opposition on Sedgemoor with his tireless work to get our position accepted by the ruling group but also on the Chamber of Commerce and through his experience in trade union work and in education. We said we would continue to support Bridgwater traditions such as the carnival. The carnival centre is the focal point of our town hall complex and we are in constant discussion with them to assist on future projects. We promote snowflakes and shopping as a major town centre xmas feature which now includes squibbing and we maintain the popular carnival weekend fireworks. We said we would support housing developments on brownfield sites. A priority for us is decent housing and a supply that meets the needs of the people. We have encouraged and supported the district council to build council homes and prioritised brownfield sites. We said we would protect our parks and green spaces. Our environment spokesperson, Cllr Kathy Pearce, has been prominent on the Meads steering group, which has succeeding in bringing back a whole swathe of unspoilt green space back into public ownership and at the same time town council grant money has assisted our community’s to revitalise and protect their local parks with facilities and enhancement projects from green gyms to social art. We said we would widen public participation and open up the town council to the people to make it more accountable. We have more than achieved this goal with our open forum system and especially in the last year when Mayor Diogo Rodrigues launched so many public initiatives it was hard to keep track. 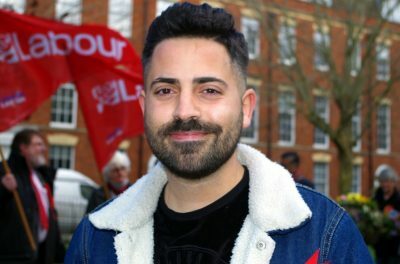 In particular his successful social media initiatives such as ‘Mayor Live’ have proved incredibly popular and have attracted 1000s of regular viewers. Finally we said we would formally set up structures that would strengthen community links and harness the knowledge and experience of local people. The Forum system introduced by Council Leader Brian Smedley has enshrined this in the councils structure. Delegates from community groups along with eager individuals are now able to attend Forum meetings such as Transport, Community Development and Twinning. The Bridgwater Cultural Partnership is a successful offshoot and we fund this and the popular Quayside Festival annually. A tangible outcome of this way of working is the launch this year of our first ever Bridgwater Tourism Brochure. This originated from a forum and was devised, compiled and put together by a group of councillors, members of the public and the business community and is now available far and wide across the country promoting all that’s good about our town. 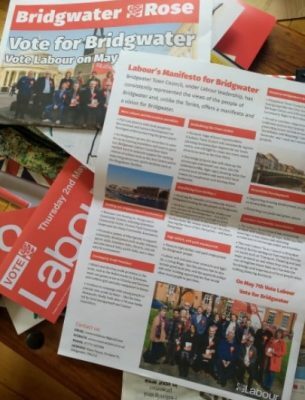 In 2015 we put this manifesto to the people of Bridgwater who put their trust in us and we repaid that trust by delivering it. In 2019 we are putting another manifesto to you. You can find it here. And you know you can trust us to deliver it.